A real jewel in our times! 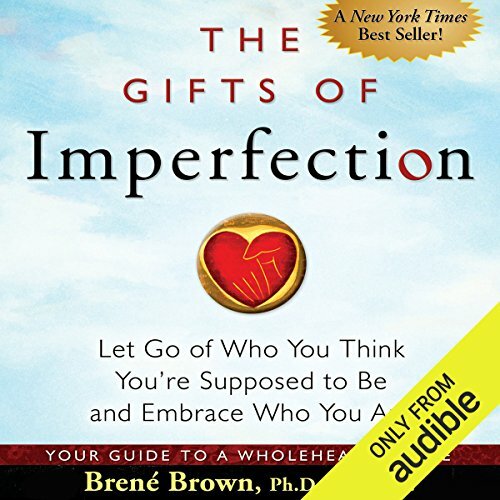 In The Gifts of Imperfection, Brené Brown, a leading expert on shame, authenticity, and belonging, shares 10 guideposts on the power of Wholehearted Living - a way of engaging with the world from a place of worthiness. Each day we face a barrage of images and messages from society and the media telling us who, what, and how we should be. We are led to believe that if we could only look perfect and lead perfect lives, we'd no longer feel inadequate. So most of us perform, please, and perfect, all the while thinking, "What if I can't keep all of these balls in the air? Why isn't everyone else working harder and living up to my expectations? What will people think if I fail or give up? When can I stop proving myself?" 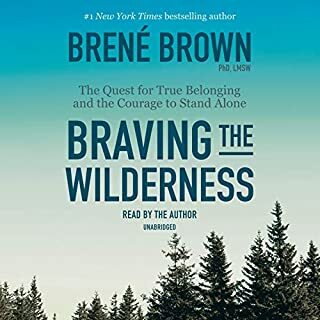 In her 10 guideposts, Brown engages our minds, hearts, and spirits as she explores how we can cultivate the courage, compassion, and connection to wake up in the morning and think, "No matter what gets done and how much is left undone, I am enough," and to go to bed at night thinking, "Yes, I am sometimes afraid, but I am also brave. And, yes, I am imperfect and vulnerable, but that doesn't change the truth that I am worthy of love and belonging." 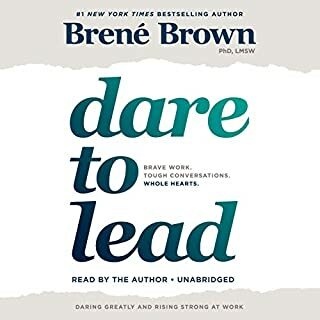 ©2010 Brene Brown (P)2010 Audible, Inc.
Love Brené's books but couldn't get into this one since it is not narrated by Brené herself. I just found it to be less believable than her other titles...less moving without her actually narrating it. I didn’t make it all the way through this book because about 2/3 of the way through the book takes a very religious turn, focusing on the importance of faith and how central it is to the concepts of the book. 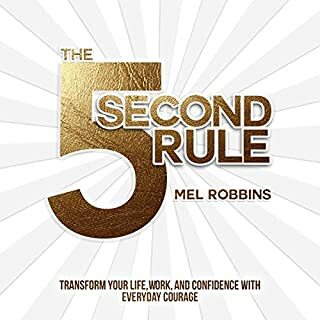 This was where it lost me as I do not believe in a higher power, and based on the content of the book this is a requirement in order to live a whole hearted life. I would not recommend this book for any who are not religious, or do not believe in a higher power - there is a lot of good content but the focus on god and faith was very off putting. So good I bought the hard copy to go over in more detail. Transforms the way I think and approach my own struggles. 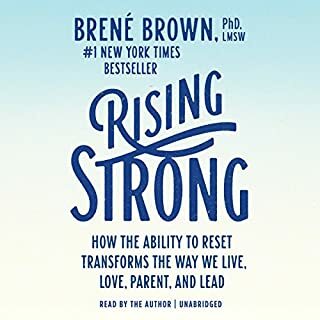 I loved the book just wish it was Brené Brown narrating. Other then that the book was amazing. The presenter has a lovely voice and it made the book very pleasant to listen to. I enjoyed the tone of the book. It was gentle and to the point. A lot to consider. Great narration. This will require additional opportunity to go through the audio book again. Take notes and develop personal strategies. Sets out lots of good information to consider. A lot of messages I needed to hear as a woman under the pressure of today's society. I wish Brene had narrated herself. She is incredible to listen to. After listening to this, it’s hard to leave any negative criticism at all, because I really respect and admire Brené’s commitment to vulnerability and honesty. The narrator took a little bit away from it, because a lot of the time her tone made it sound like she was bragging, which I don’t think is what Brené intended. I was confused about the spirituality part. I wish there was a little more exploration for what that means for non-religious people... especially for those who aren’t into new-agey stuff, because it seems like there are few other options out there. 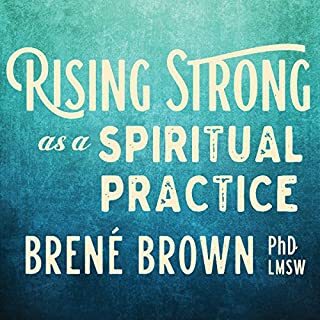 For someone with such a strong spiritual sense like Brené, I feel like it may have been a missed opportunity to capture the essence of that spirituality in order to communicate that experience to a non-spiritual person who hasn’t experienced it, and how we might be able to cultivate it on our own. Otherwise, definitely a valuable and therapeutic listen, and something we need more of in this world. Loved everything about this book! So many take-aways! Very insightful and makes you really think about life! 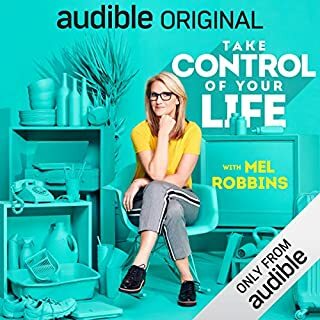 Loved it, easy to listen to and such good content. Brene Brown is amazing as always! This book is amazing, except it is the exact same content as the power of vulnerability, which is narrated by Berne Brown herself. The work just seems much deeper and the stories a lot richer when you hear it from the author directly. When I say they're the same I really mean it. Same stories, same content, same organization. What was one of the most memorable moments of The Gifts of Imperfection? I really enjoyed the authors humor throughout. I have heard the author's talk on TED (highly recommended) so I have heard her speak and really enjoy her speaking style. She has a snappy, dry wit that would have been most enjoyable to listen to. But the reader's voice is pleasant. This book came along at a perfect time for me. 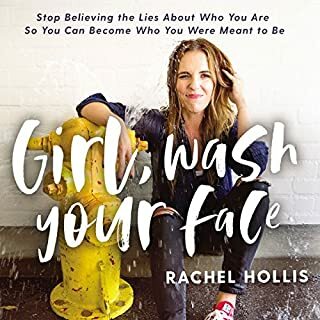 I have been accompanied by shame my entire life, this book showed me how to process shame and negativity instead of carrying them around with me. It not only discussed the topic but showed me new ways to move forward. 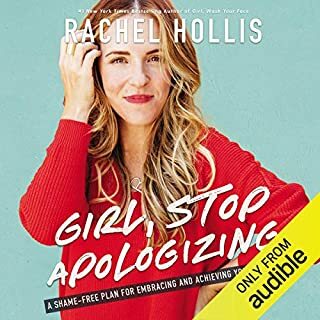 I can truly say I am and my relationships are better for having listened to this book and I will listen over and over. P.S. To the reviewers point about the book dealing too heavily with children and family issues. I do not have children and found it perfectly enjoyable and was able to extrapolate the point the author was trying to make. It is not a book on or about family. It's about how we choose to live our lives. The author has children and that is the paradigm she speaks from. It by no means diminishes the meaning for those of us without. One thing I must say is that I do NOT like this rating system...this work is not a novel, and what does performance mean? The work is based on Brown's research. It expands on the YouTube videos. I wish we could all have the courage to work though the issues that she puts to paper (so to speak). I have read this book much the same way as I do many of the books like this, which are in my library--helter skelter and then go back to the beginning and read it beginning to end. I study this work from a slightly different angle. Our imperfections are our gifts--what we bring to the table to make this a better place to live. Reading with an open heart is essential otherwise the person walks away disappointed and put off. Brown's work is not a how to. Her work does give real to life examples that requires us to listen and then do the work--does it speak to you and if so then search for your solution and do your work. She makes visible the shift of consciousness. Well worth the time. This was a valuable book that I may later re-read. 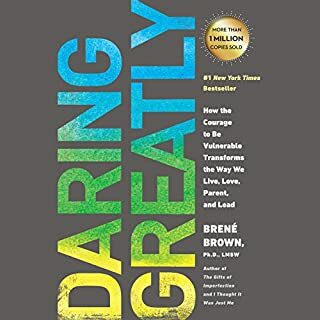 The author, Brene Brown, relates various fears, such as the fear of failure and the fear of rejection, to the overriding emotion of shame. I found most of her ideas to be well presented and on point. The author doesn't venture much into religion, but where she does, she doesn't commit to anything, she just has a very vague view of how that fits into her world view. I didn't agree with her vague views and found them distracting in relation to the rest of the book. She sounded like she was tryng too hard to not offend anyone to present a real perspective on the spiritual aspect of the human experience. She did, however, provide a clear explanation of just how the fear of shame impacts and even creates a lot of the other emotions that account for many of our actions. I've actually never heard an author address this topic in this way, and I found it refreshing to hear such a frank discussion of such an important aspect of our existance that we would rather forget about. Ms. Brown reminds us that facing shame and our fear of it can free us to be brave and to forgive ourselves enough to experience joy. The narrator has such a wonderful voice for this type of book. She is simultaneously encouraging and calming. Her voice is sweet with a natural cadence that keeps you engaged. I listened to the book at a speed of 1.5 and found Lauren Fortgang's performance to be perfect. 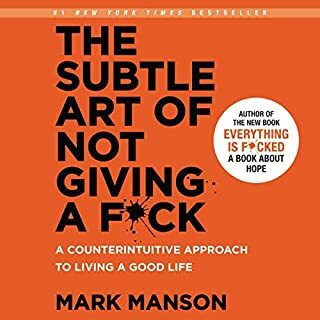 I would recommend this book to anyone who has a problem with the fear of failure and rejection or who feels that no matter what they do, they are somehow doing the wrong thing and missing out on life. It won't, of course, address every problem in life, but you might gain some perspectve that will help you to see some of your problems in the light of how you relate to shame, and that might help you to make better decisions. After all, isn't that the most one can expect out of a self-help book? Just don't take her vague religious ideas too seriously. Reading this book is like a "feel good" session with a therapist. It encourages you to let go of your imperfections and live more whole heartedly. 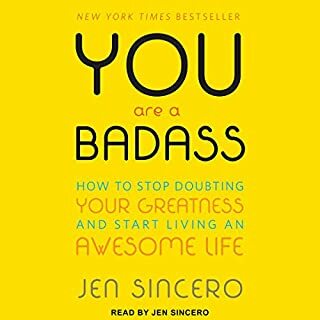 When listening to the stories in the book, you realize all those little negative thoughts that stop you from being authentic (for example, "he's being a jerk" instead of "he said something that was true and painful). The journey towards wholehearted living is a practice you would do everyday (or try as much as you can). I'm sure the key points that I take away from this book now are those things meaningful to me at this point in my life. I plan to read the book again and see if I find other things to work on. 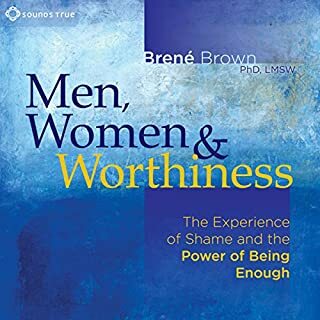 Can this book be re-recorded by Brene Brown? 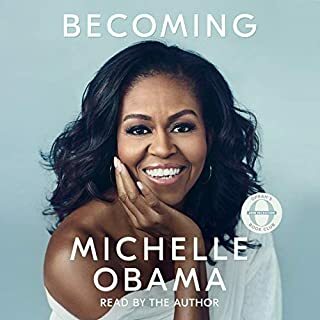 I am going to have to read this book instead of listening to the Audible version. The artist utilized has such a high pitched voice, whistles her "s", and has a hard "g" at the end of words. I find it impossible to concentrate on the writing! Yes. Set time aside on a Saturday. A Must Read (or Listen)! 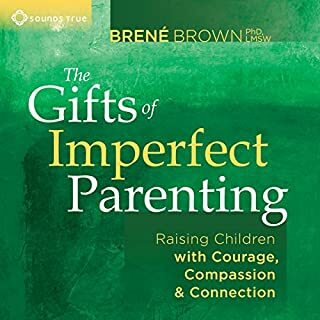 Brene Brown is one of my favorite researchers in the field of emotional study. The Gifts of Imperfection is a great illustration of what it means to life a full life along with operational goals and definitions of words like shame, authenticity, and vulerability. She uses anecdotes and research to make these points in a powerful way. 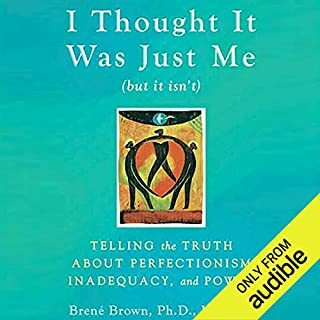 My only disappointment with the audio book is the narrator, who is not at all a bad narrator, just isn't at all like Brene Brown. 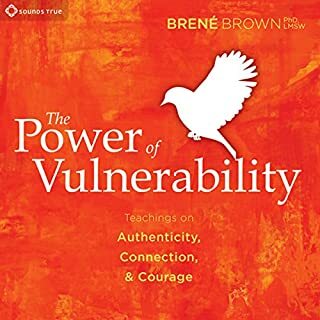 Like many people, I became aware of Brene Brown's work after her TED talk went viral ("The Power of Vulnerability") in June 2010. Her voice and way of speaking is moving and powerful to say the least. 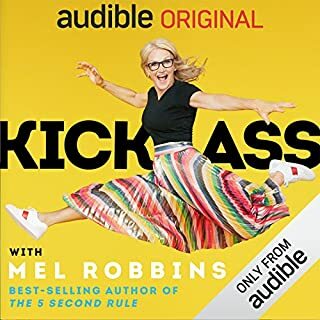 I was disappointed not to hear her voice on the audiobook since she's inspiring, funny, and kind of comforting to me. A light hearted yet affectionaly dense work. This book was both true to its title, and extremely eye opening. Dig deep, Dr. Brown uses stories effectively to show us the shell of conformity that constrains both our joy and our happiness. Love is not a feeling its a behavior. I strongly recommend it. 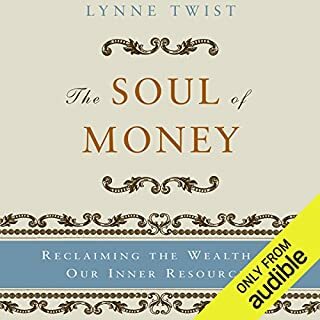 I bought this book after watching an amazing youtube video of her Ted Talk. Unfortunately, I didn’t feel like this book gave me that much more insight than her 15 minute talk did. The author kept referring to herself as a “researcher” but she didn’t include any of her research! She summed her findings up for us, but we didn’t get to hear any of the specifics. Instead, she talked about her own life (which is only semi-interesting). And she also spent a lot of time defining key terms, which also got old after a while. It was nice that she opened up and made the book personal, but it would have been more compelling to hear about other people’s stories and experiences (such as all those people she was supposedly researching) to help illustrate her points. Using her own life as the only example came acrosss as self-involved, and it really limited the whole scope of the book. She should have included her own story in the introduction as a way of framing her main points and then delved into the research in the body of the book.